Home Visas Family Visit Visa How to fill Saudi visit visa application? How to fill Saudi visit visa application? I would suggest you fill the Saudi family visit visa application form in Google Chrome as you can translate the content very easily. Open the website https://visa.mofa.gov.sa/Home/Services/citizens. Once the page is opened, I would suggest you change it in the English language. There is a link on the upper left corner of the page from where you can change the language of the website. Now you would be able to see two big tabs on your screen. You will have to click on the tab stating “Citizens and Residents”. After this, you will have to select “Resident” and from the third screen you will have to select “Family Visit Visa Application for Residents”. If there is anything missing, you can take help from the below screen image. Now you have successfully entered into the Saudi family visit visa application form. In the first step, you must agree to their terms and conditions. Unfortunately, there is no English version of this application available. However, if you have opened it in Google Chrome, you would be able to translate it very easily. There is a translation button available at the upper right corner of the address bar on your Google Chrome browser. You will have to click on the “Agree” button. If there is anything missing, you can take help from the below screen image. Now you are step 2 of filling the Saudi family visit visa application form. You will have to enter your Iqama number, date of expiry and visa number at this step. Visa number is mentioned on the visa which was stamped on your passport at the time when you entered to Saudi Arabia. Now in step 3, the system will automatically fetch the date and show it on this screen. It will fetch your name, your profession, date of birth, the name of your sponsor, your nationality and another number which is written on your visa. What you need to fill is only the Title, Email and Mobile Number in the Saudi family visit visa application form. In some cases, it does not fetch this information, you can fill them manually if this is the case with you. People have been raising a question about what should be filled in front of Title, in the application. You should write your full office address in Arabic. I used to google translator to translate the address. Enter your valid email address and phone number and proceed to the next step. Now at step 4, you will have to select the validity of the family visit visa. I have selected 90 days; you can select any other period. I would suggest you select the maximum period even if your family wants to visit for a short time. You can also select if it is a multiple entry or a single entry visa. I have selected “Single Entry Visa”. Enter the purpose of the visit in Arabic. Add the code given in the screen to the text box and click on the button, “Addition”. 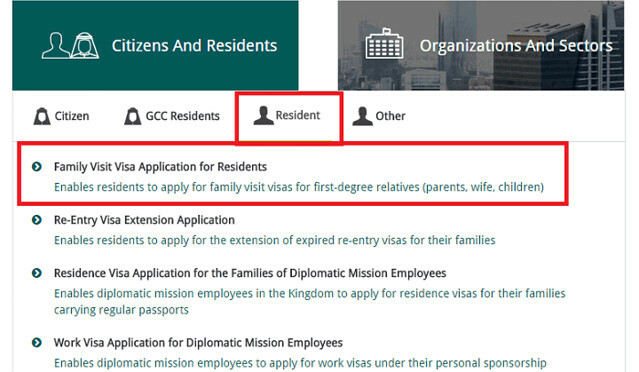 In case you want to apply for multiple entry visas, you need to select this option in the Saudi family visit visa Application. Select the period of visa and duration after which you want to extend it. I have selected the duration of 730 days (2 years) and keep the maximum day's option in the second one. As soon as you will click on this addition button, a pop-up screen will appear. 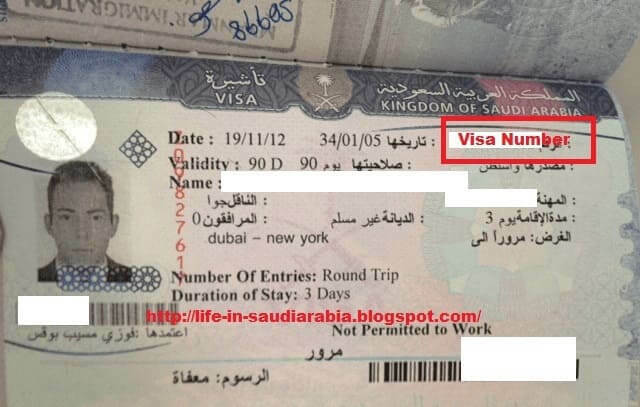 Now you will have to mention the name of the person whom you want to bring on family visit visa in Saudi Arabia. The name should be the name as per passport (spelling by spelling). Many people make this mistake of writing the name in Arabic which is wrong. The name should be in English and as per passport. After this, you will have to select the religion of that person. There will be two options from which you will have to select i.e. Muslim or Non-Muslim. The gender of the person, your relationship with that person, the city from which she will be traveling, her nationality and Date of Birth as per passport should be mentioned here correctly. Check it three times before proceeding to the next stage. If you have selected the relationship as “Others”, a new tab will open where you will have to mention the relationship in Arabic. You can take the help of google translator for this purpose. Now it is clear that the person for whom you are applying for a visit visa can come to Saudi Arabia from a third country as well if he/she has permanent status in that country. Let’s say your wife is US National living in the UAE, she can come here from Abu Dhabi. You just need to select that city where she wants her documents to be processed. You will also have to write the profession of the person coming on visit visa. For example, if your wife is a housewife, translate it and write it there in the box. Once you are done with the above step, just proceed to the next one. You will be given a filled Saudi family visit visa Application from here. You will have to make sure again that all the details are correct and print it.